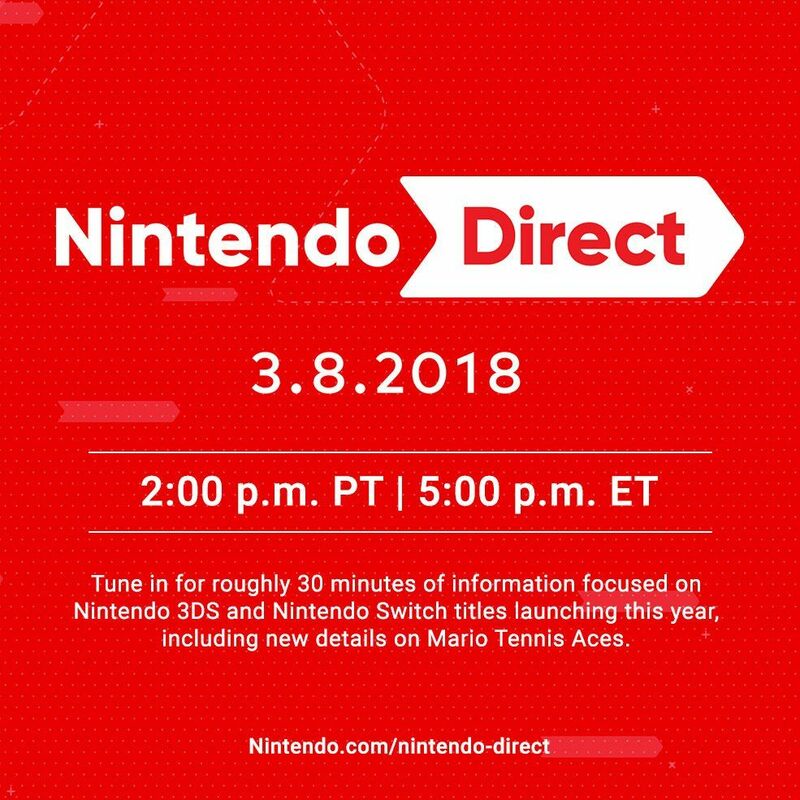 This morning, Nintendo of America announced through Twitter that a Nintendo Direct will be held tomorrow at 2 P.M. PT on Nintendo.com/nintendo-direct. There are currently 12 games scheduled for release tomorrow on the Switch. Kirby Star Allies is set for March 16, and Attack on Titan 2 will be available on March 20. As for 3DS owners, the next big titles include Detective Pikachu: Birth of a New Team coming March 23, and The Alliance Alive on March 27. The Kirby Star Allies demo was made available for download in North America on March 4, and Nintendo Life has some gameplay of the demo as well. The last Direct, a Direct Mini, was on January 11 of this year and lasted 15 minutes. Fans speculate that the Direct tomorrow may announce an official release date for Hyrule Warriors: Definitive Edition, as the last Direct set the release for Spring 2018. As the announcement referenced “new details” for Mario Tennis Aces, fans may get a release date for that as well.